For the first time in the 21-year history of the National Roofing Contractors Association Gold Circle Awards, the roofing industry’s most prestigious award honored a spray foam roof. Wedge Roofing's technically challenging Sonoma County Spray Foam Roof was also awarded the 2016 Spray Foam National Industry Excellence Award for Best Spray Foam Roof Less than 40,000 square feet." Annually, the NRCA bestows eight Gold Circle Awards to members from around the world for their outstanding contributions to the roofing industry including unique roofing related jobs, programs and services. In a nationwide competition, four roofing contractors received the Gold Circle Award for outstanding workmanship based on the merit of their nominated roofing projects in the categories of Low-Slope, Steep-Slope, Innovative Solutions in New Construction and Innovative Solutions in Re-Roofing. 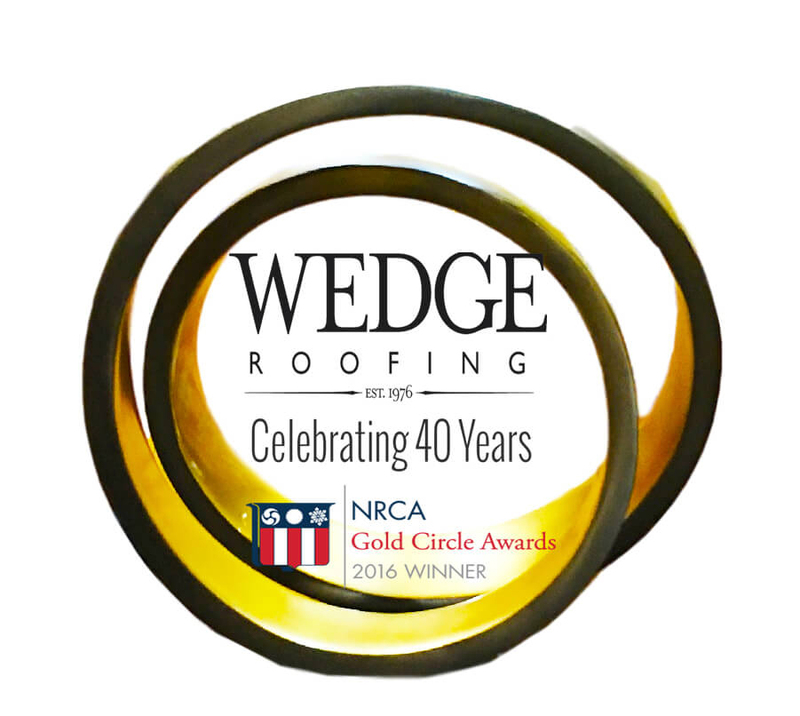 Wedge Roofing's 2016 NRCA Gold Circle Award was accepted by General Manager Gary Harvey at the 129th Annual National Roofing Contractors Association Convention held February 15-19, 2016 in Florida. This is why your company has the reputation they have; Everyone has provided such great service and communication and it is greatly appreciated. "